Hey dolls! 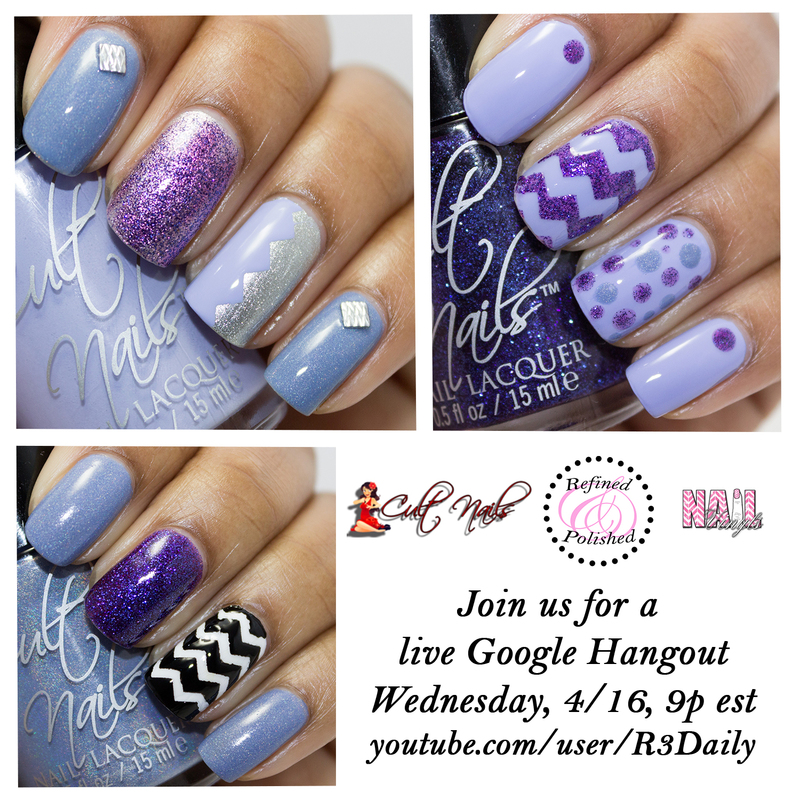 A few weeks ago I mentioned that I would be participating in a live Google Hangout with Maria of Cult Nails discussing the Casual Elegance collection and ways to use nail vinyls. I was thrilled when she asked me to participate because you all know how much I love tape manis. The time has approached on the hangout has been scheduled for this Wednesday at 9p EST. You may have seen some of my previous posts on social media saying it would take place on Thursday, but we had to reschedule due to a scheduling conflict. During the hangout, we’ll get to chat about nails, the Casual Elegance collection, and of course nail vinyls. I came up with a few simple looks over the weekend to show the the versatility of both the collection and nail vinyls. Here’s what I came up with. The first look I’m sharing is the one we will actually create together during the hangout. 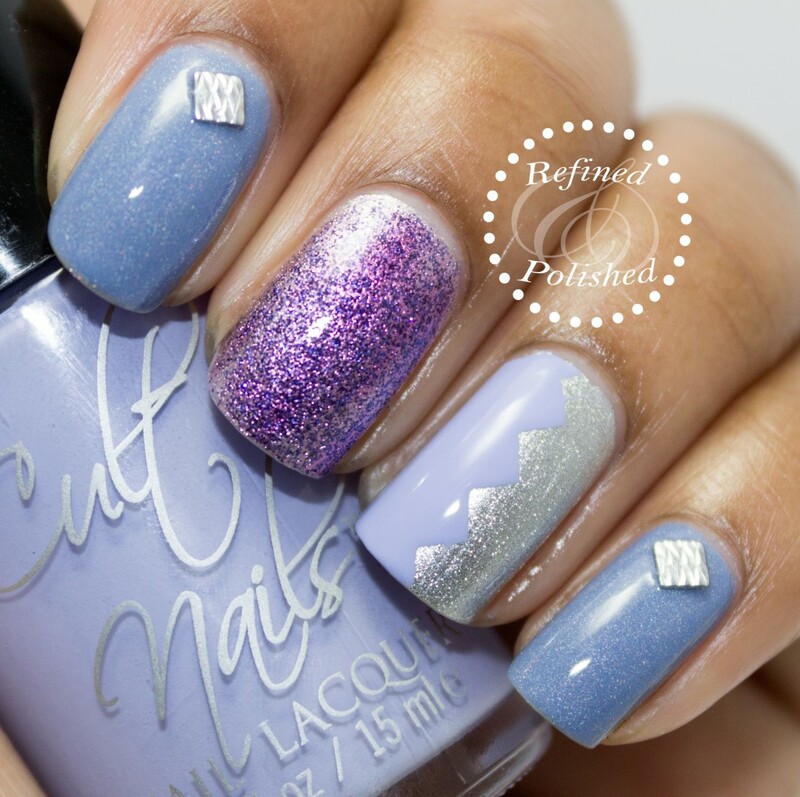 If you plan on participating, you should already have your nails polished with Casual Elegance so that it is completely dry before applying the nail vinyls. 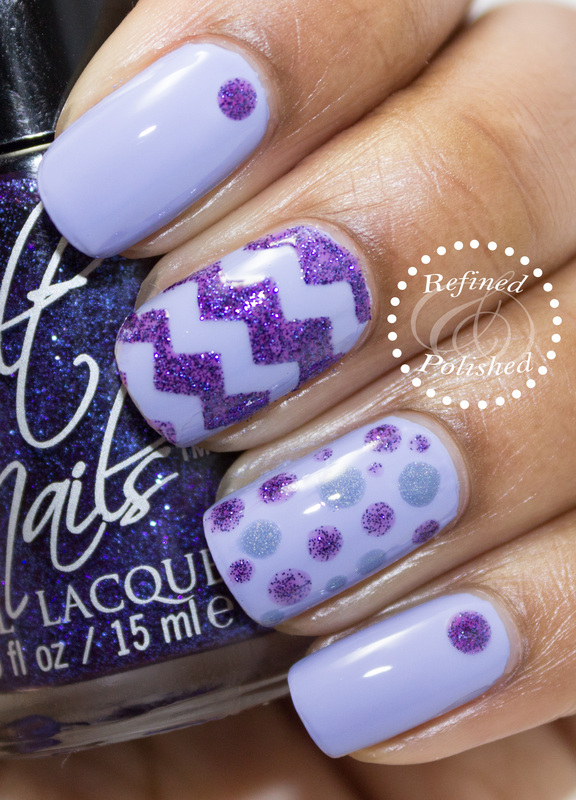 This looks features all three shades from the collection, nail vinyls applied at a diagonal, and two different sized dotting tools for polka dots. 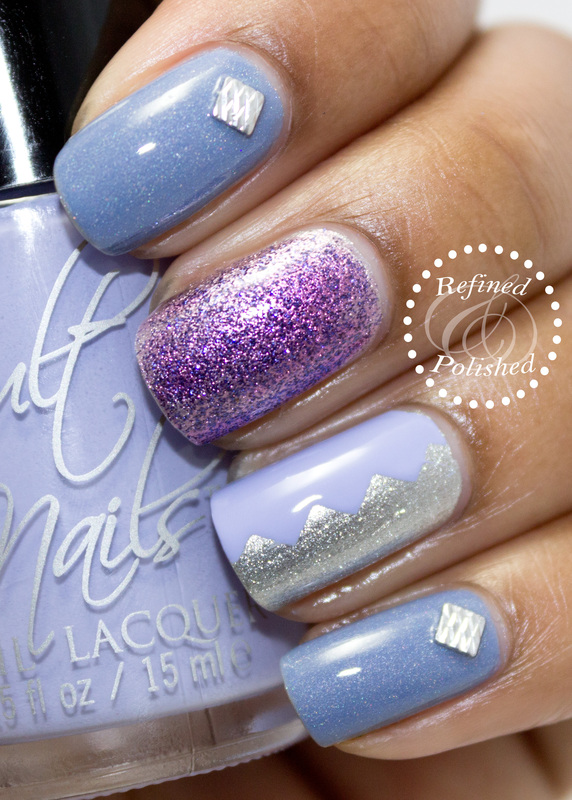 The second look features Winter’s Light, Intriguing, Tempest, and Fetish. 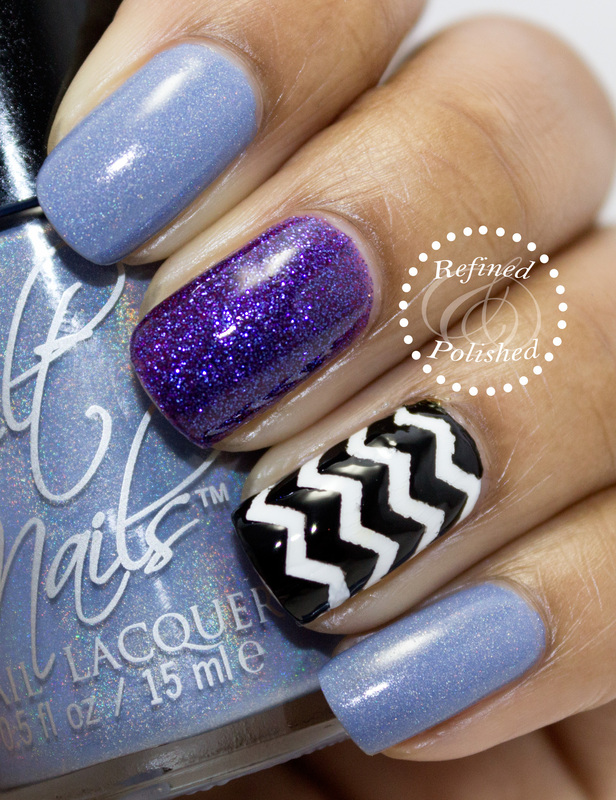 I’m sure all of you have seen manis that include black and white mini chevrons and a glitter accent. Here’s my take on that look. Of course I had to use some studs as well. For the final look, I used all three shades and Lethal. Winter’s Light took on an entirely different look over the silver base. The large chevron maxi was applied vertically on the nail and ended up looking pretty cool. 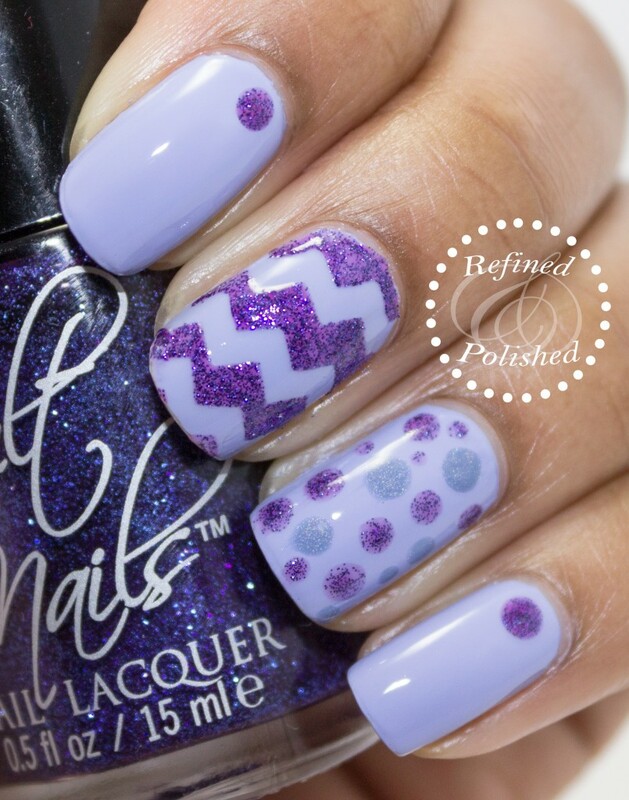 Don’t forget to have your nails already polished and dry using Casual Elegance. 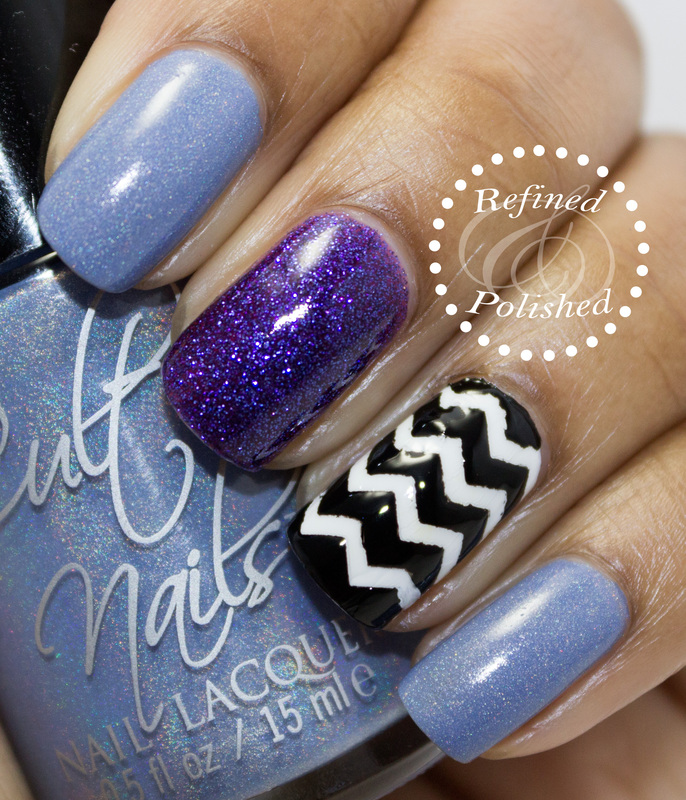 The hangout will be broadcasted live on the Cult Nails youtube channel. I’m hoping this will be fun for all of us. Who knows, if it goes well, maybe I’ll do hangouts regularly. Let me know if you plan to join us in the comments!